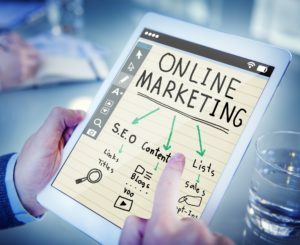 Marketing your business online can seem like a challenging task at first, but with the right resources and information available, it won’t be. It may be challenging selling yourself to others; however, you need to convince people you are worth their time, money, and effort. Here are some methods to get the most results out of marketing your business. Convince people you’re the best at what you do. Tell them about your experiences and achievements. Convince them of your knowledge in your field of work and prove to them you’re the person they should go to. While this may seem like an annoying trait to some, it works. Being persistent, whether through continuous contact with a potential employer or unabating effort to make yourself known to clients can strengthen your online presence. Make sure to integrate social media into your marketing plan. You can use social media sites to outreach potential clients and form a better relationship with your audience. Using social media to market your business will give more opportunities to meet new clients. 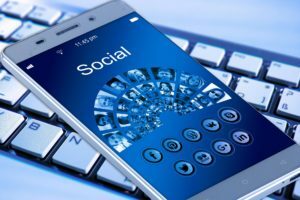 You can build a sizeable following through social media with sharing options, hashtags, and client interaction. People tend to be different at home than they are at work, this goes for marketing yourself. Take on a more professional role, exude more confidence & professionalism, and talk to more people. This will ensure a trustworthy relationship between you and your clients. You should make sure your website is coherent, readable, and provides plenty of information on who you are and what you do. Doing this will guarantee a returning site visitor, and possibly even a client. There should never be any question about what your website is for and what your services are. Marketing yourself won’t do you any good if no one can find you or your site. Whether it be on social media or your website, you should make sure that you have enough traffic to continue going in the right direction. If you’re not increasing traffic, then you should take a different approach than the one you’re currently taking. See how your competitors are bringing in clients, take note of how they’re treated, their level of customer support, and what their website looks like. You can use this to your advantage by improving your site, not to look like your competitor’s, but to represent yourself and your profession. You won’t notice a significant amount of change overnight. Online marketing can take anywhere from a couple of weeks to a couple of months to show improvement. If you’re consistent in your efforts of marketing your business, you’ll be satisfied with your results.